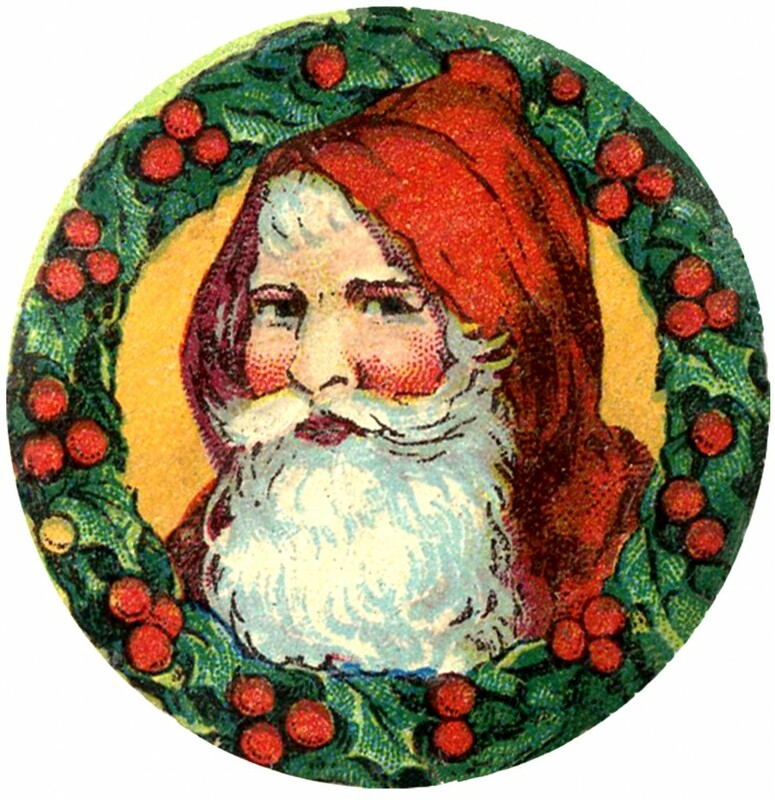 This is another cute round Santa Clip Art Image, that I thought would be perfect for making Handmade Cards or Stickers! Shown above is a lovely old world Santa, framed by a Traditional Holly Wreath. I love the color combo on this one. I think it’s very striking with the Red, Green and bright Yellow! Wouldn’t that be fun to stick to the back of an envelope for your Holiday Cards! 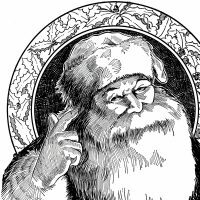 You might also like a matching Santa Image with a blue background HERE. I do like him! Thank you! 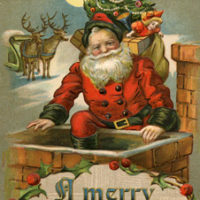 What a beautiful old world Santa image. Thanks so much!